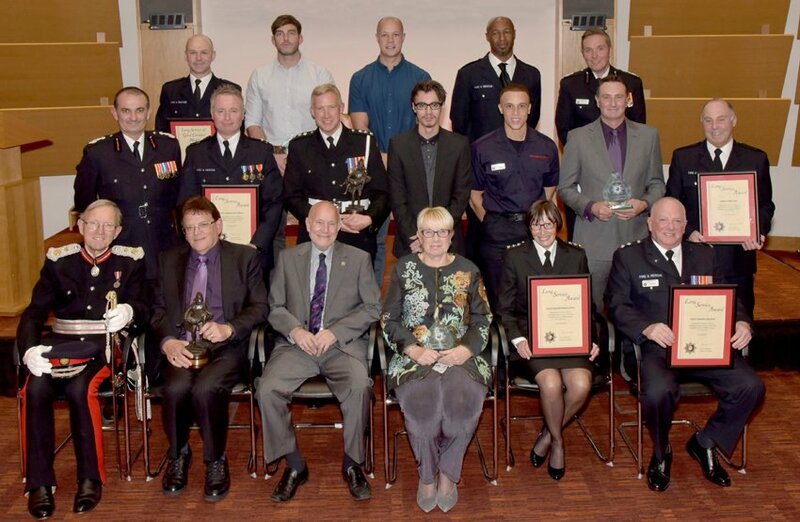 Congratulations to all winners and nominees at BFRS’s 2017 awards evening, which took place on Friday evening (22 September) at The Oculus in Aylesbury. Many were there to collect their awards in person. Councillor Adrian Busby, who retired as Chairman of Buckinghamshire & Milton Keynes Fire Authority earler this year, was presented with a statue, and his wife Sally with flowers.